New Delhi: Sohan Lal Commodity Management (SLCM), India’s leading agri services solutions provider having operations across India & Myanmar, has been conferred the “Asia Pacific HRM Congress Awards 2017” in “Best Workplace Practices” category for demonstrating a high level of commitment towards HR practices and systems within the organisation. The award was presented by Times Ascent. With this win, SLCM joins an illustrious league of companies that have been conferred this award. The awards were judged by an eminent jury comprising senior industry professionals. The prestigious award was presented at the 16th edition of Asia Pacific HRM Congress Summit held in Taj Vivanta, Bangalore on September 19 & 20, 2017 in the presence of a distinguished gathering of business leaders, academics, and senior HR professionals. Mr. Manish Dwivedi, Head-HR & Ms. Varnika Kukreja, Head- Corp. Comm. at SLCM Group received the award from Ms. Jill Mckey, Joint Managing Director, My Brain International and Mr. Nagakumar Murthy, Zonal Head, South Karnataka Birla. This prestigious award is presented to companies demonstrating a high level of commitment towards HR practices and systems that impact business vitality. The award takes a comprehensive look at the full spectrum of HR across industries in Asia Pacific and is presented only to the most outstanding achievers in these areas. 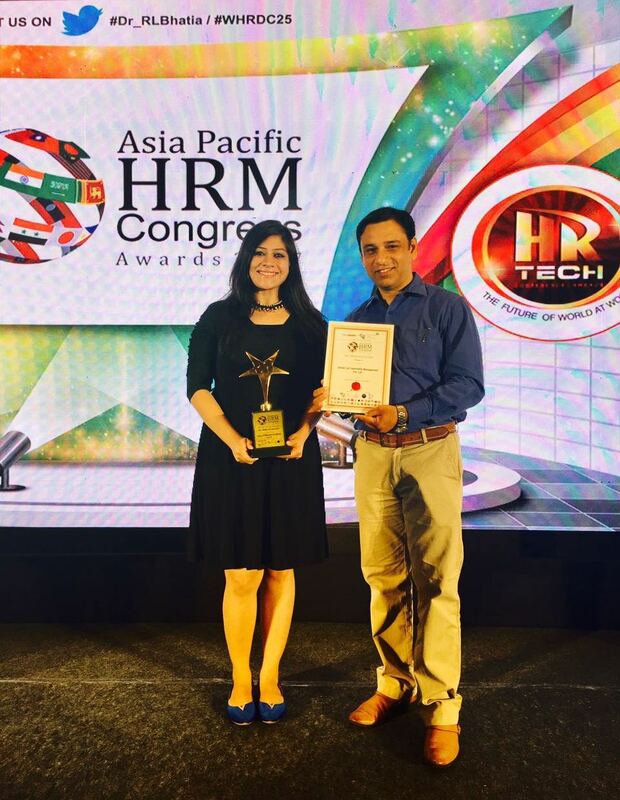 Prior to this SLCM Group has been awarded with “Asia HRD Awards” for outstanding contribution in the field of Human Resource Development and listed amongst ‘50 Dream Companies to work for’ by Times Ascent. The Group prides itself as an Innovator in agri field & has consistently demonstrated its capabilities in rolling out efficient products and services that empowers the agri ecosystem. Be it their process AGRI REACH (patent pending) which reduces post-harvest losses or Kissandhan (NBFC) which has changed the paradigm of agricultural financing to bring real “Financial Inclusion”.